Unusual sensory responses (i.e., sensory over-responsivity, sensory under-responsivity, and sensory seeking) are relatively common in children with autism spectrum disorder (ASD). Sensory issues are now included in the DSM-5 ASD symptom criteria for restricted, repetitive patterns of behavior, interests, or activities (RRB), and include hyper-or hypo-reactivity to sensory input or unusual interest in sensory aspects of the environment; such as apparent indifference to pain/heat/cold, adverse response to specific sounds or textures, excessive smelling or touching of objects (American Psychiatric Association, 2013). When present, these problems can interfere with adaptability in many areas of life (communication, daily living, socialization, occupational). For example, sensory processing problems have been found to be associated with eating problems and physical aggression in children with ASD (Mazurek, Kanne, & Wodka, 2013; Nadon, Feldman, Dunn, & Gisel, 2011). It should also be noted that sensory processing disorder (SPD) is not recognized as a distinct diagnostic entity by the International Statistical Classification of Diseases and Related Health Problems (ICD-10), Individuals with Disabilities Education Act (IDEA), or the Diagnostic and Statistical Manual of Mental Disorders (DSM-5). 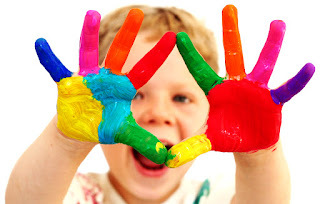 Understanding that sensory features can have a negative impact on daily life skills of children with ASD, efforts should be made to ensure early identification of these sensory features to improve their functional and psychosocial outcomes. Although ASD measures such as the Autism Spectrum Rating Scales (ASRS), Social Responsiveness Scale-2nd Edition (SRS-2), and Childhood Autism Rating Scale-2nd Edition (CARS-2) include items that assess sensory sensitivity and unusual sensory interests, questionnaires are available that focus “solely” on the sensory processing domain. For example, the Sensory Profile, Second Edition (SP-2; Dunn, 2014) and the Sensory Processing Measure (SPM; Parham, Ecker, Miller Kuhaneck, Henry, & Glennon,, 2007) are both questionnaires that can be used to assess sensory processing and behaviors across various childhood environments (home and school). The SP-2 is a widely administered family of questionnaires which measure children’s responses to certain sensory processing, modulation, and behavioral/emotional events in the context of home, school, and community-based activities. Each form provides a combination of Sensory System (Auditory, Visual, Touch, Movement, Body Position, Oral), Behavior (Conduct, Social-Emotional, Attention), and Sensory Pattern (Seeking, Avoiding, Sensitivity, Registration) scores. A short version (Short Sensory Profile-2) is available for screening and can be completed in 5 to 10 minutes. The Sensory Profile School Companion-2, a school-based measure, is also available to evaluate a child’s sensory processing skills and their effect on classroom behavior. It can be used in conjunction with other SP-2 measures to provide a comprehensive evaluation of sensory behavior across home and school settings (Dunn 2001; Kern et al., 2007; Crane, Goddard, & Pring, 2009). The SPM is a norm-referenced assessment that produces scores for two higher level integrative functions (praxis and social participation) and five sensory systems (visual, auditory, tactile, proprioceptive and vestibular functioning). Processing vulnerabilities within each system include under- and over-responsiveness, sensory-seeking behavior, and perceptual problems. Three forms comprise the SPM (Home Form, Main Classroom Form, and School Environments Form), which provide a comprehensive picture of children's sensory processing difficulties at home and school. Each requiring 15 to 20 minutes, the Home and Main Classroom Forms yield eight parallel standard scores: Social Participation; Vision; Hearing; Touch; Body Awareness (proprioception); Balance and Motion (vestibular function); Planning and Ideas (praxis); and Total Sensory Systems. An Environment Difference score allows direct comparison of the child’s sensory functioning at home and at school. Both the SP-2 and SPM have been used with children with ASD and have utility in program planning and developing accommodations for unusual sensory responses. Regardless of the questionnaire used, practitioners should use several other sources of information when documenting sensory features in children with ASD, including interviews with parents and teachers along with behavioral observations. Best practice guidelines indicate that when needed, comprehensive educational programs for children with ASD should integrate an appropriately structured physical and sensory milieu in order to accommodate unique sensory processing patterns (Wilkinson, 2016). Students with ASD frequently require accommodations and modifications to prevent the negative effects that school and community environments can have on their sensory systems. These include (a) reducing the amount of material posted on classroom wall for a student who has problems with excessive visual stimulation; (b) teaching the student to recognize the problem and ask in their mode of communication to leave the area; (c) providing a low distraction, visually clear area for work; (d) providing alternative seating and a quiet/calming space when students become overwhelmed; and (e) using headphones or similar device to minimize high noise levels. Practitioners employing sensory integration therapy (SIT) should use clinical reasoning, existing evidence, and outcomes to create a comprehensive, individualized program for each student, rather than utilizing isolated, specific sensory interventions. Parents and professionals should also be advised that the research regarding the effectiveness of SIT is limited and inconclusive. Accommodations, modifications, and support services needed to address sensory issues should be integrated into the student’s individualized educational program (IEP) and/or treatment plan. The collaboration of knowledgeable professionals (e.g., occupational therapists, speech/language therapists, physical therapists, adaptive physical educators) is necessary to provide guidance about supports and strategies for children whose sensory processing and/or motoric difficulties interfere with educational performance and access to the curriculum. Unusual sensory responses (i.e., sensory over-responsivity, sensory under-responsivity, and sensory seeking) are relatively common in children with ASD and when present, may interfere with performance in many developmental and functional domains across home and school contexts. Practitioners must be alert to the presence of certain sensory features specific to children with ASD, including hyporeactive and sensory-seeking profiles, along with difficulties in the hearing, tactile, gustatory, olfactory, and proprioceptive domains (Dugas, Simard, Fombonne & Couture, 2018). The persistence of sensory features from an early age highlights the need for identification and management to improve functional and psychosocial outcomes. Because they are often overlooked in many ASD assessment procedures, attention to sensory problems should be an integral component of a comprehensive developmental assessment as they are often a prominent and concerning feature of the individual’s behavioral profile (Dunn, 2001; Harrison & Hare, 2004). Interviews and observation schedules, together with an evaluation of social behavior, language and communication, adaptive behavior, motor skills, sensory issues, atypical behaviors, and cognitive functioning are recommended best practice assessment procedures (Campbell, Ruble, & Hammond, 2014; National Research Council 2001; Ozonoff, Goodlin-Jones, & Solomon, 2007; Wilkinson, 2017). 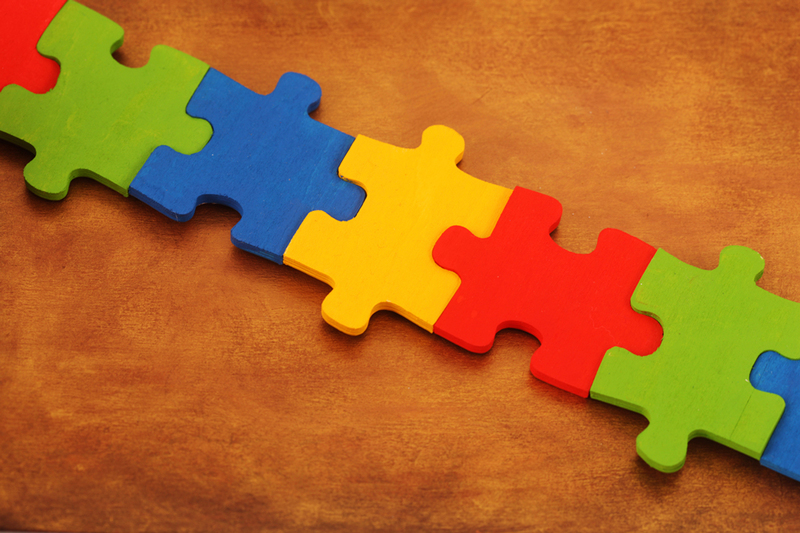 Because ASD affects multiple areas of functioning, an interdisciplinary team approach is essential for establishing a developmental and psychosocial profile of the child to guide intervention planning. 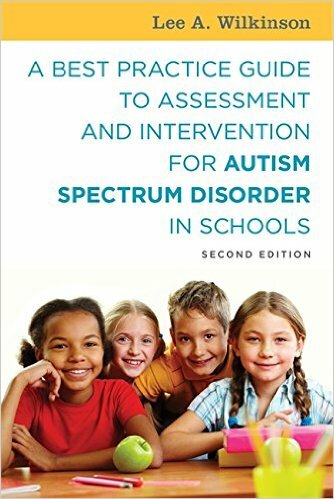 Further information on best practice guidelines for assessment and intervention is available from A Best Practice Guide to Assessment and Intervention for Autism Spectrum Disorder in Schools (2nd Edition). Crane, L., Goddard, L., & Pring, L. (2009). Sensory processing in adults with autism spectrum disorders. Autism, 13, 215-228. Dunn, W. (2014). Sensory Profile-2. San Antonio, TX: Pearson. Goldstein, S., & Naglieri, J. A. (2010). Autism Spectrum Rating Scales. North Tonawanda, NY: Multi-Health Systems, Inc.
Kern, J. K., Trevidi, M. H., Grannemann, B. D., Garver, C. R., Johnson, D. G., Andrews, A. A… Schroeder, J. L. (2007). Sensory correlations in autism. Autism, 11, 123-134. O’Neil, M. & Jones, R. S. (1997) Sensory-perceptual abnormalities in autism: A case for more research? Journal of Autism and Developmental Disorders, 3, 283–93. Ozonoff, S., Goodlin-Jones, B. L., & Solomon, M. (2007). 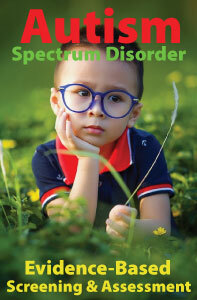 Autism spectrum disorders. In E. J. Mash & R. A. Barkley (Eds.). Assessment of childhood disorders (4th ed., pp. 487-525). New York: Guilford. Parham, L., Ecker, C., Miller-Kuhanek, H., Henry, D. A., Glennon, T. J. (2007). Sensory Processing Measure. Torrance, CA: Western Psychological Services. Schopler, E, Van Bourgondien, M. E., Wellman, G. J., & Love, S. R. (2010). Childhood Autism Rating Scale (2nd ed.). Los Angeles, CA: Western Psychological Services.